The Fabric of the Universe is an art and science collaboration undertaken by textile specialist Isaac Facio and astrophysicist Benedikt Diemer. Our projects focus on simulations of the cosmic web of dark matter (one of which provides the the background image of this site). 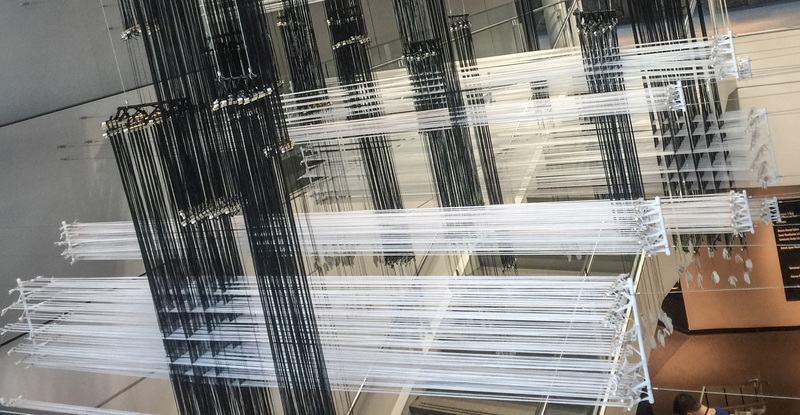 However, we aim to go beyond two-dimensional visualizations, and are exploring new ways to represent data using unconventional materials and techniques such as three-dimensional woven textiles. The image above shows an installation at Adler Planetarium in Chicago which was on display from March through November 2018.